The elite line of troops, dedicated to protecting the Emperor. 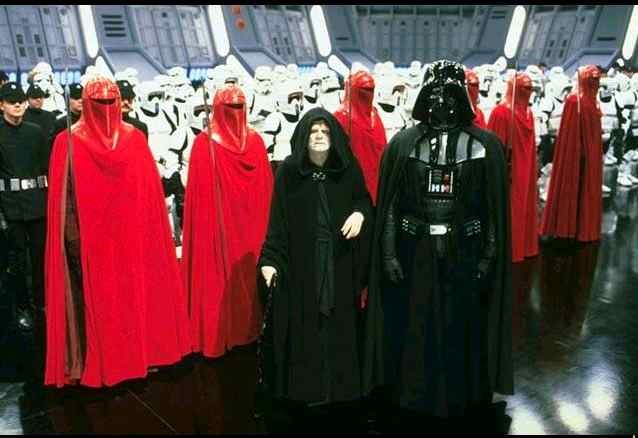 The most feared troops in the entire Empire, who grace our screen in Return of the Jedi for but a few moments, simply marching and standing....Nobody messes with these guys! 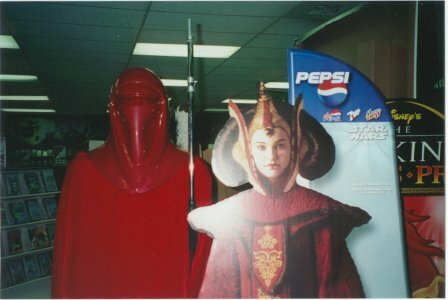 Then we got the prequels...and again we only make a brief appearance in the last movie. Yoda easily dispatches a pair of guards in Revenge of the Sith as he confronts Emperor Palpatine. 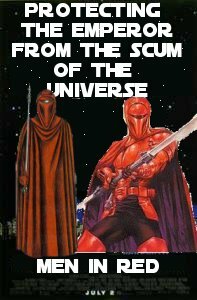 Adorned in their blood red robes, and armed with lethal "force pikes", the Imperial Guard live to protect the Emperor at all costs. Hand-picked from an elite group of stormtroopers who have stood out in combat, they receive the best training and equipment in the Empire. Only the most promising soldiers who fall within the required size, strength, intelligence, and loyalty ranges are chosen for this duty. They are trained in the use of a wide range of weapons and unarmed combat styles, and conditioned to obey the Emperor's will and protect him with their very lives. The Royal Guard report only to Palpatine, and a handful are always with him. They are fighters, assassins and protectors, according to the Emperor's wishes. You know the drill...click on the picture, and it gets bigger! 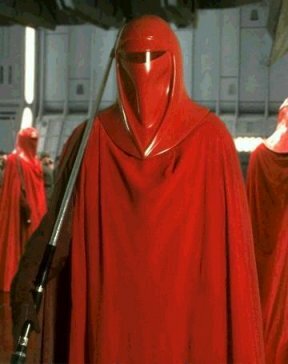 So Hallowe'en rolls around, and I needed a costume, well, an eBay deal and a sewing Mother-in-law later, viola, I had myself a hum dinger of a Royal Guard costume...All I needed was a weapon...how to make the force pike? Other bits for my costume...I had a bugger of a time finding red gloves, and still haven't, so I spray painted a pair of rubber gloves, they looked great at the beginning of the night, at the end however...the paint had cracked and peeled, and was flaking everywhere. That's why in the pictures you can't see my hands, or the end of the pike. I will get a proper picture of the pike soon, and put it up. After painting the gloves a nice poppy red, I was seriously considering doing the mask, but time would not allow it. 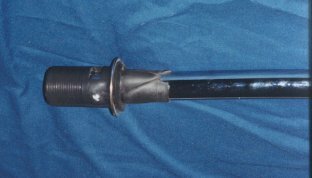 Here it is, as promised, a picture, that of my home made Force Pike, that I detailed above. The pommel of the pike; the screw in part of a sink drain. The grip of the pike; the bike grip, and backflow prefentor. The tip of the pike; part of a light fixture, and a bit of tubing.